The Steven A. Cohen Military Family Clinic at Centerstone holds a variety of social events and classes every month. Here are a few of our ongoing and upcoming events. Mondays from 11:00 a.m. – 12:30 p.m. Classes are held weekly and materials are provided! The second in a series of small business classes presented in partnership with the Tennessee Small Business Development Center. Keep an eye on our social media channels for information on future class! Classes take place every second Wednesday and beginning April 24. Paint a plate, and paint for a purpose! Join us as the Cohen Clinic welcomes an artistic team working to honor the sacrifices made by our military members and their families. Participants will be given the opportunity to paint ceramic platters reflecting their experiences as part of a larger display later in the summer. Mark your calendars! On Saturday, August 10th the Cohen Clinic will be hosting its first annual Veterans and Military Families Art Show in celebration of our one year anniversary. Stay tuned for futher details! Another ASIST (Applied Suicide Intervention Skills Training) class in partnership with the Tennessee Suicide Prevention Network. The monthly Writing Workshop meeting with Professor Erika Arcadia from Austin Peay State University. Our monthly Family Movie Night! 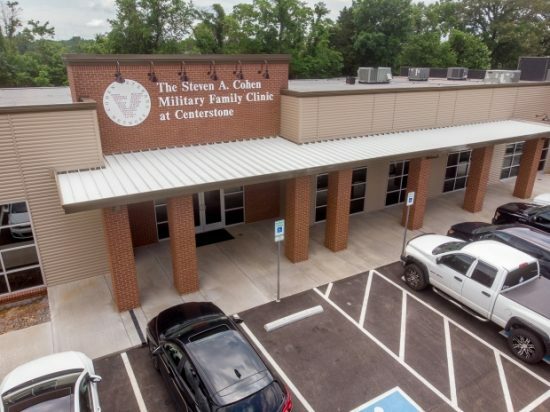 Please check us out on Facebook (@CohenCenterstone), Twitter (@CohenClinicTN) and Instagram (CohenClinicCenterstone) for upcoming event information or to sign-up and register!